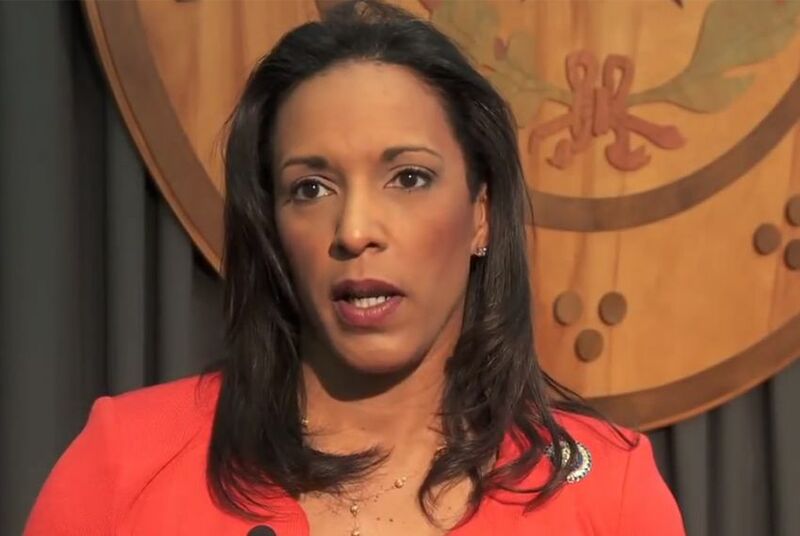 During a heated debate Saturday on women’s health, state Rep. Dawnna Dukes revealed that she has had an abortion. The revelation comes two weeks after state Sen. Wendy Davis revealed she terminated two pregnancies for medical reasons. Two weeks after news emerged that state Sen. Wendy Davis terminated two pregnancies for medical reasons, another Texas legislator talked about her own abortion during a heated debate Saturday on women’s health. During a panel discussion at The Texas Tribune Festival, state Rep. Dawnna Dukes, D-Austin, revealed that she has had an abortion. After Dukes argued that there are false perceptions about the psychological effects of abortion, Republican Molly White, who is running unopposed to represent House District 55, said that women who have not had abortions don’t have the same understanding about the effects of the procedure. “To the world, I had an abortion,” Dukes shot back, adding that she had not suffered from any psychological effects because of the procedure. White, who has had two abortions, said her experience had led to drug and alcohol abuse and suicidal thoughts. During the panel, Dukes also criticized recent abortion regulations passed by the Republican-led Legislature, saying the argument that the regulations are about women’s safety is false. The politics around abortion became a focal point last summer when lawmakers proposed a new abortion law, which eventually passed as House Bill 2. The law bans abortions after 20 weeks, requires doctors who perform abortions to obtain admitting privileges at hospitals within 30 miles, and requires abortion facilities to meet the same standards as ambulatory surgical centers, including minimum sizes for rooms and doorways and having pipelines for anesthesia. Davis filibustered the original abortion legislation last summer during a special legislative session, temporarily derailing it, but it was signed into law weeks later at a second special session. Supporters of the law say that it offers protections that will improve women’s safety when obtaining an abortion. But opponents argue that it is only serving to shutter dozens of clinics across the state and is intended to reduce access to the procedure in the state. If enacted, the final provision of the bill could leave only six or seven abortion facilities open in the state. On Sunday, the day after her panel, Dukes posted on Facebook that she was grateful that "a safe and legal means was available when as an adult woman, I had to make the decision to have a medical procedure performed." "My reason for making this decision was private and will remain private — end of story," she wrote. "Folks have about as much right to know why as they have a right to know when/why you have a pap smear, rectal exam or root-canal — none whatsoever."